Raymond L. (Larry) Mason Jr., 87, died peacefully on Thursday, September 22, 2016, at the Blaire House Nursing Home in Milford, after a long illness. He is survived by his son, Scott R. Mason and daughter- in-law Margaret Mason of Trenton NJ, daughter Lisa Maxfield of Raleigh NC, grandson Greg Mason of Ewing NJ, granddaughter Allison Carmichael of Queens NY, cousins Thomas and Steven Gilbert and longtime companion Patricia Broderick of Medway. He was born in Boston on October 31, 1928 and was the son of the late Raymond L Mason Sr. and Dorothy Harris, longtime residents of Randolph, both very active in civic and community affairs. He grew up on Union St. and had been a member of the First Congregational Church of Randolph. He attended the old Stetson High School 1943-1946 and remained actively connected to its alumni associations and helped restore the roof back in the 1990’s. After Stetson High, he attended Williston Academy in Northampton before entering The University of Maine. His time there was interrupted by the Korean War where he served in army intelligence. Upon completion of his service he returned to Maine and graduated in 1956 with a BS in Business Administration. He then began his career in the New York financial district as a stock banker. He raised his family in New Jersey and after many years he went to work for the NJ Department of Banking. He retired in 1999 and moved back to his beloved Massachusetts, settling in Carver. Thomas L. Matthews, of Watertown, N. Y., died Sunday, October 16, 2016 at Samaritan Keep Home. Howard Hetzler continued to volunteer daily, socialized among his large circle of friends, and remained active until his cardiac arrest. Over 100 people attended the Celebration of his Life. William T. Moriarty Jr., of Putnam, CT, passed away Thursday the 8th of September at night, peacefully, with his wife and grandson by his side at home. William was born June 30th 1933, to Dr. and Mrs. William T. Moriarty Sr. and Marguerite (Conley), in Boston, MA. William graduated Williston Prep. School in Northampton, MA in 1952 and served as class president for 4 years. 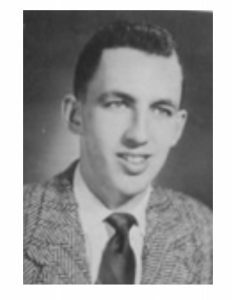 William went on to graduate Colgate University in 1956 with a degree in Education. In 1956, William enlisted in the U.S. Army , serving in the 25th Military Intelligence Detachment, honorably discharged as a Sgt. in 1959. William wen on to Framingham State University for a Masters Degree in Education, with further studies at Dartmouth Medical School for the studies of addiction. William taught English in conjunction with being head of guidance in the Medway MA school system. William went on to work as Hospital Administrator of Riverdale Hospital, Oradell, NJ. William’s later career became focused on counseling families and individuals impacted by addiction. William was C.E.O. of Eagle Hill at Sandy Hook, CT. and Seafield Pines, Keene, NH. Rehab. facilities. At the end of William’s career, he served as counselor at Spectrum Addiction Services and MSPCC.William is survived by his wife of 37 years, Janice (Marrier) Moriarty, and grandson Brian Sullivan, who he was very close to. William is also survived by three children, Paul, Pamela and Megan; six step-children, Louis Boneski Jr. and wife Kim, Mark Boneski, Matthew Boneski and wife Katherine, Timothy Boneski and wife Kristen, Elizabeth Sullivan and Linda Boneski. William is survived by 10 grandchildren and 3 great-grandchildren. George A.Goodridge, of 115 Elm St., Hatfield, passed away peacefully Friday, Jan. 22, 2016, at Genesis Elaine Center at Hadley. He was born Jan. 19, 1928, in Topsfield, the son of Col. George L. Goodridge and Charlotte Mae (Hutchinson) Goodridge. A graduate of Topsfield High School he attended Norwich University and served in the U.S. Army Signal Corps in World War II. 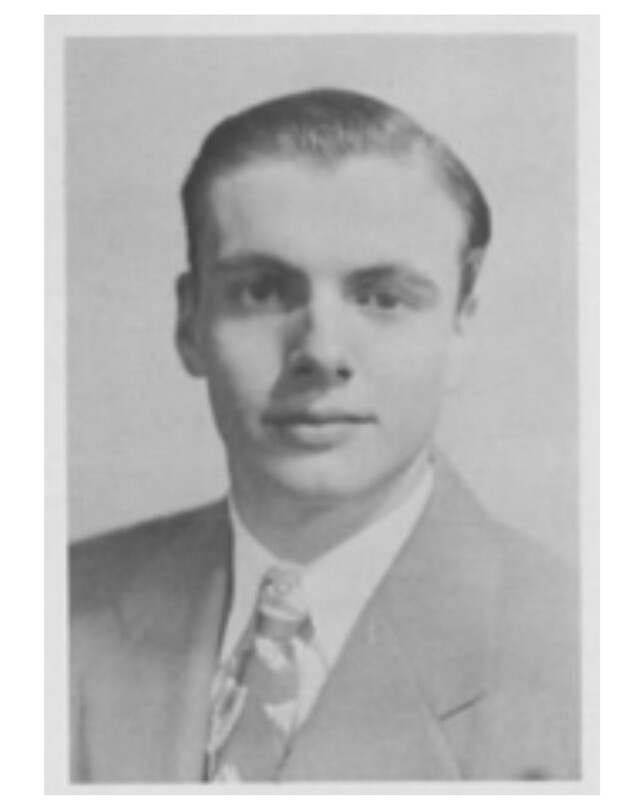 George graduated in 1952, from the University of Massachusetts with a bachelor’s degree in business administration. He was devoted to his family and always ready to help anyone in need. He loved sailing ever since learning as a child on the Cape. He became an avid reader and skilled woodworker during his later years. George worked for Johns Manville Sales Corp. in the pipe division representing products related to water supply, waste water systems and drainage. He was a member of New England Water Works Association, American Water Works Association, New England and American Waste Water Associations as well as several state and local public works associations. He retired from Johns Manville as district sales manager for Southeast Florida and Bahamas. 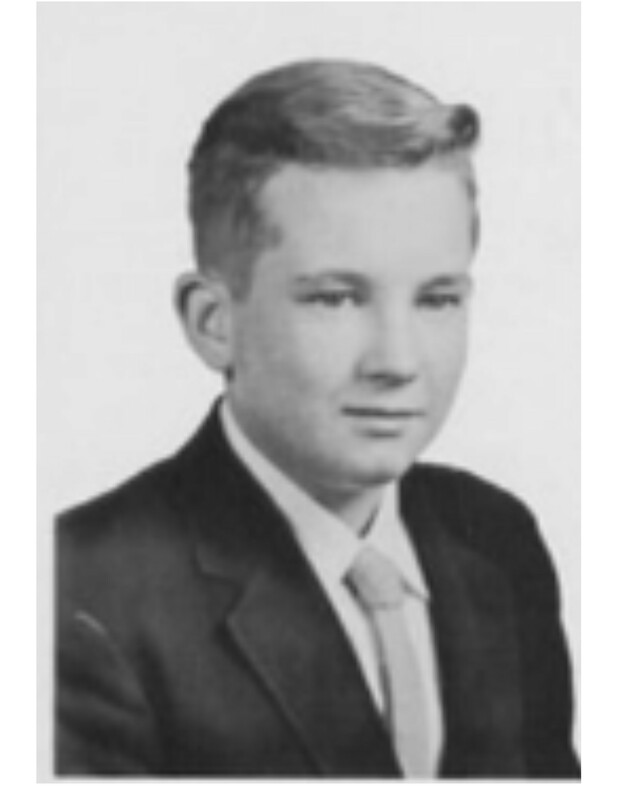 He had been a member of UCC, The Washington Masonic #61 Lodge of Manchester, New Hampshire, the Barrington Yacht Club, Rhode Island, and the Boca West Country Club. He was also a member of the former South Deerfield Rotary Club. When living in Whately in the 1970’s he served on the town planning board. He leaves his wife Joan (Rich) Goodridge; a son George L. Goodridge, II (Class of 1970) of Whately; a daughter Pamela Franklin of Etna, New Hampshire; eight grandchildren; seven great-grandchildren; and a sister Margaret Matthews of Stuart, Florida. Kay Allenberg Cohen passed away peacefully on October 14, 2016. Kay was born in Memphis on March 8, 1935. She was the daughter of Selma and Milton Allenberg. Mr. Allenberg founded Allenberg Cotton Company and sadly passed away in April, 1936. Kay was preceded in death by her husband, Lawrence Louis Cohen, M.D. in 2012 after 57 years of marriage. She attended St. Mary’s Episcopal School, East High and graduated from the Williston Northampton School in Massachusetts. She attended the University of Indiana and the University of Memphis. Kay married the love of her life in 1955. She and Lawrence immediately moved to Tucson, Az. where he was a flight surgeon in the Strategic Air Command. He had served in the Army in WWII. 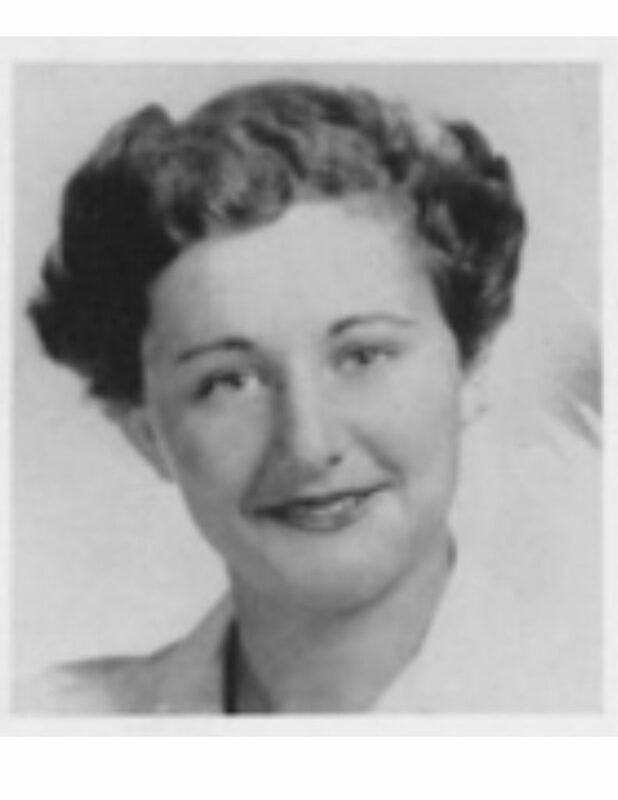 Upon their return to Memphis, Kay became a Grey Lady at Kennedy Veterans Hospital. She also taught sailing to the Mariner Scout Troop, was a Red Cross Water Safety Instructor for 25 years at three city pools, Handicap, Inc., Merry Acres Day Camp and at summer camps in East Tennessee and Maine. Kay loved and played tennis for many years. Kay was the first president of the Laurelwood Garden Club. During her lifetime she belonged to the Perennial Garden Club, the Duration Club, the Memphis and Shelby County Medical Auxiliary, the University of Tennessee Faculty Wives Club, the Memphis Symphony League, the Salvation Army, the English Speaking Union, and The Dixon Gardens. She was a member of Calvary Episcopal Church where she served on the Alter Guild, Opus (old people up to something), the E.C.W., Daughters of the King, the Cursillo Community and was an associate of the Community of St. Mary at Sewanee, Tennessee. She loved her final years living at Trezevant Episcopal Home. Kay leaves two daughters: Kathryn Austin (Chip) and their two sons, Selby and Webster, and Louise Carruthers (Cage) and their two children Cage Jr. and Mary Lawrence Childs(Matt). Kay’s third child is her precious dog Prince William. She also leaves a number of nieces and nephews and greats. Kay would like to thank Elizabeth McKenzie for her love and care for the past thirty plus years and more recently her sitters Juanita Sewell, Estella Carter, Beverly Smith Blair, and the great team from Elect Home Care: Laura Johnson, Vearnell Murphy, and Mary Harris.